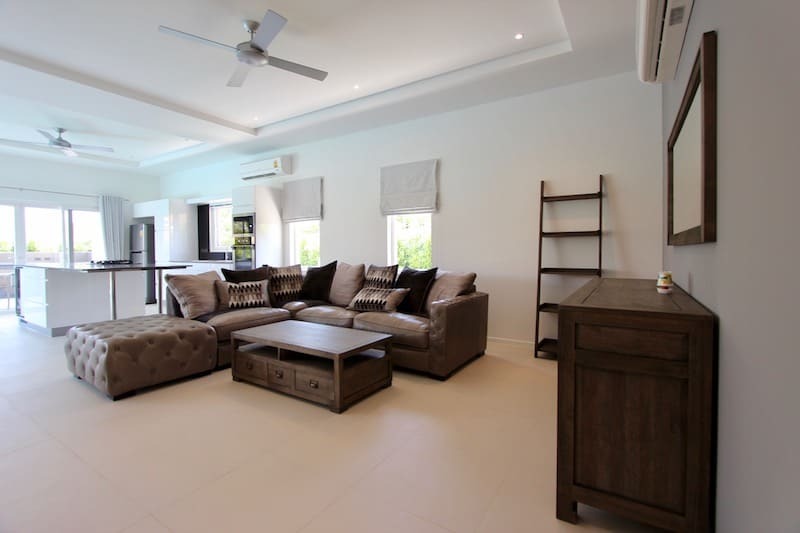 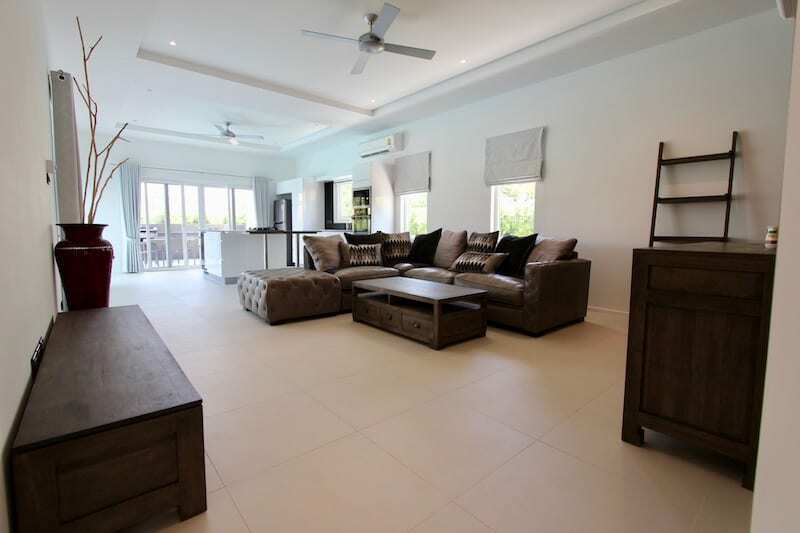 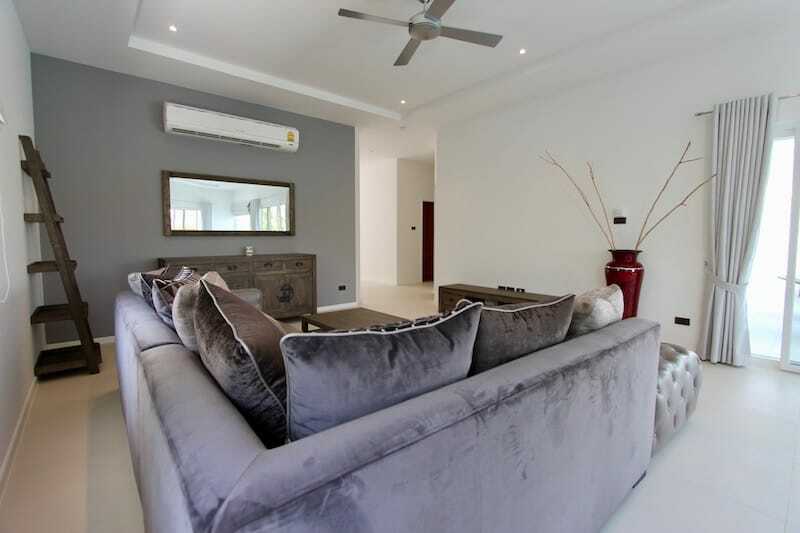 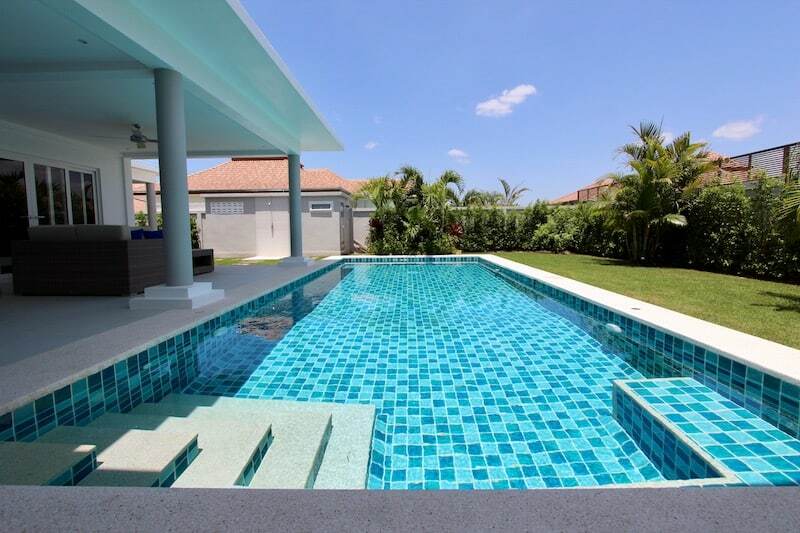 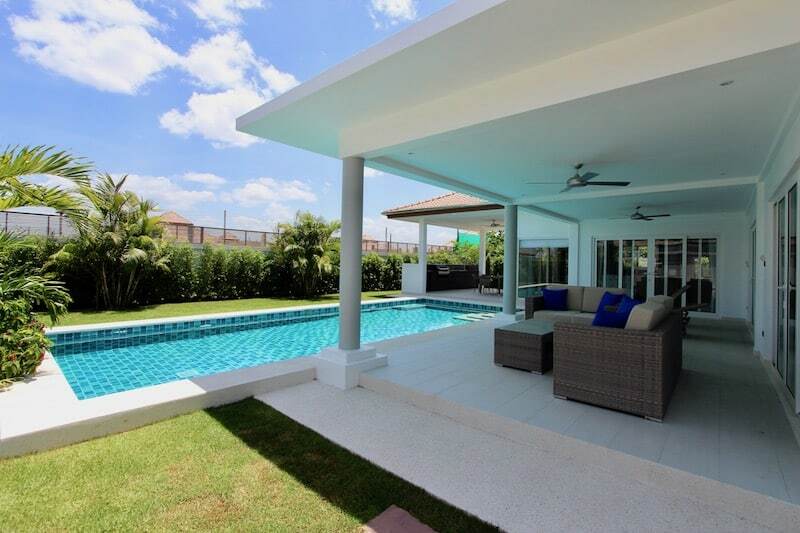 This is a lovely, brand-new re-sale home for sale in West Hua Hin by Orchid Palm Homes, one of the best developers in the Hua Hin area. 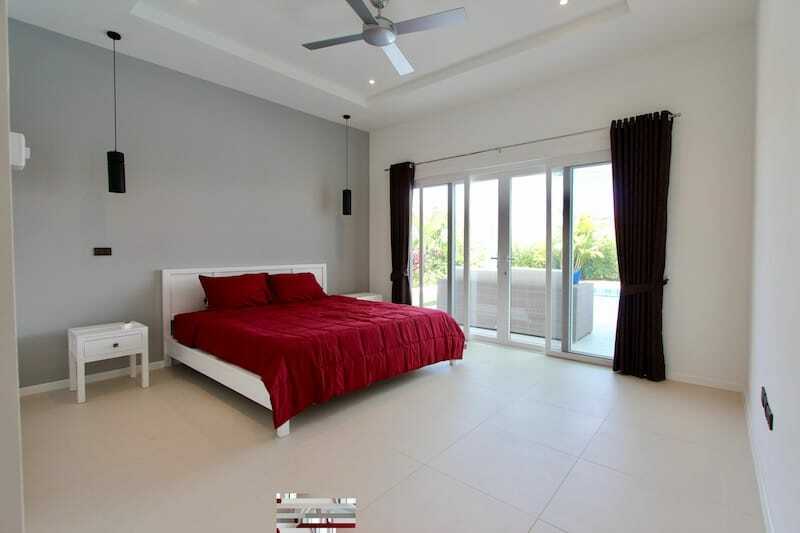 This is a Leelawadee floor plan, which includes 3 spacious bedrooms, 3 bathrooms, an open plan living room and kitchen, two terraces, and a large swimming pool. 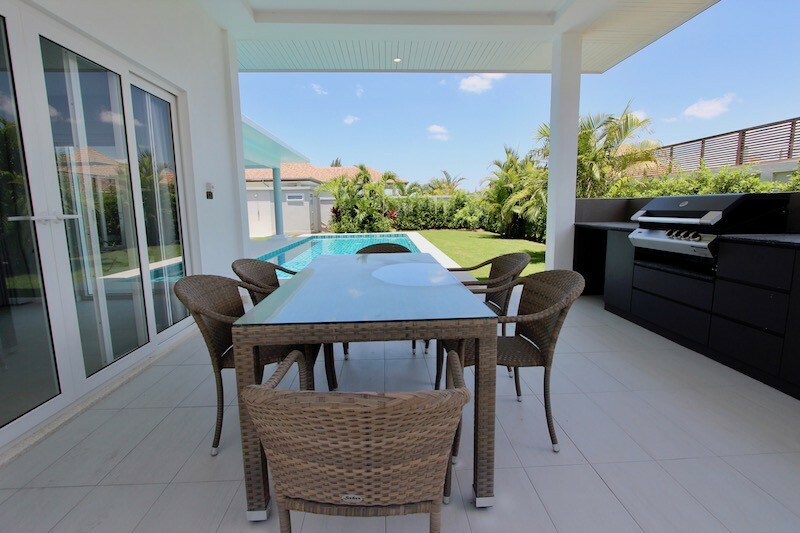 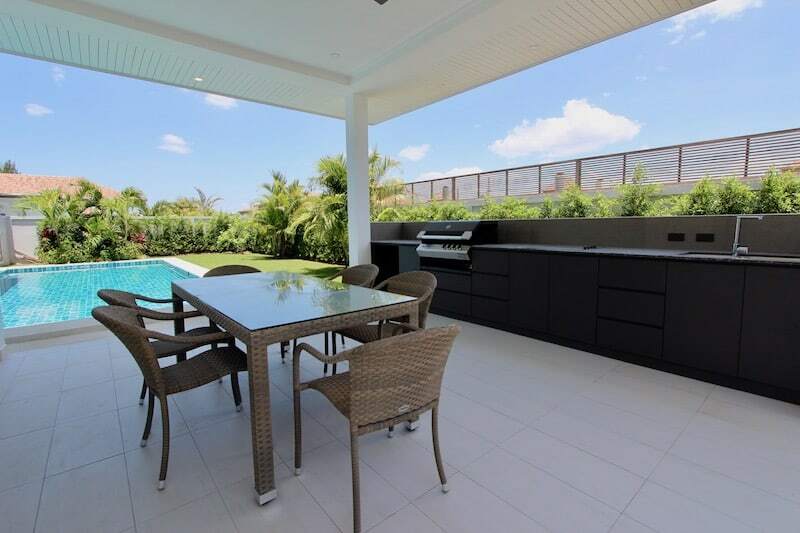 This home has several upgraded features, including a beautiful outdoor kitchen with integrated BBQ grill (Turbo brand, one of the best grills on the market), an electric stove and sink. 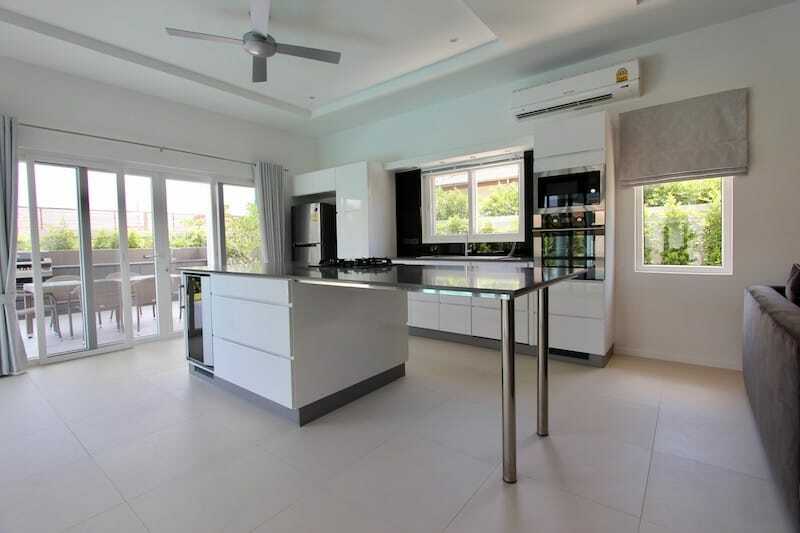 The home also has a larger internal kitchen, upgraded beyond the normal specifications with high quality appliances, a lot of storage space and an island which serves as both a breakfast bar and an extra prep counter. 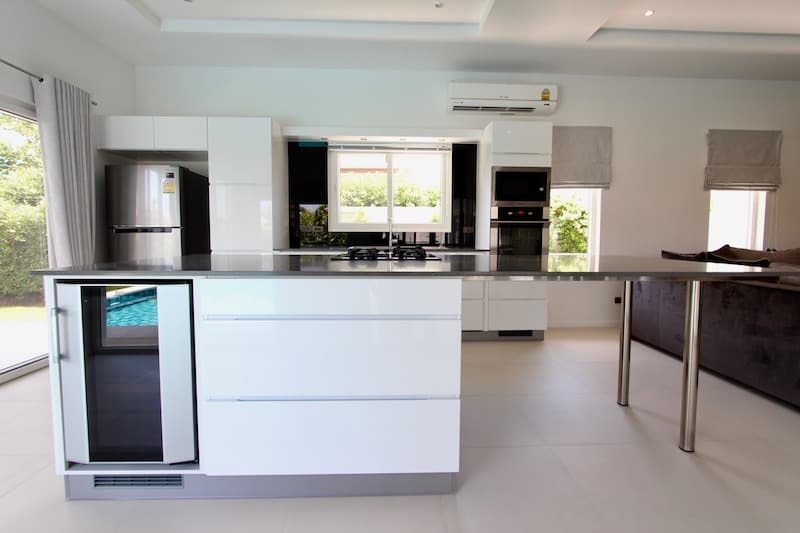 Both kitchens are by KVIK, the best kitchen manufacturer in the Hua Hin area. 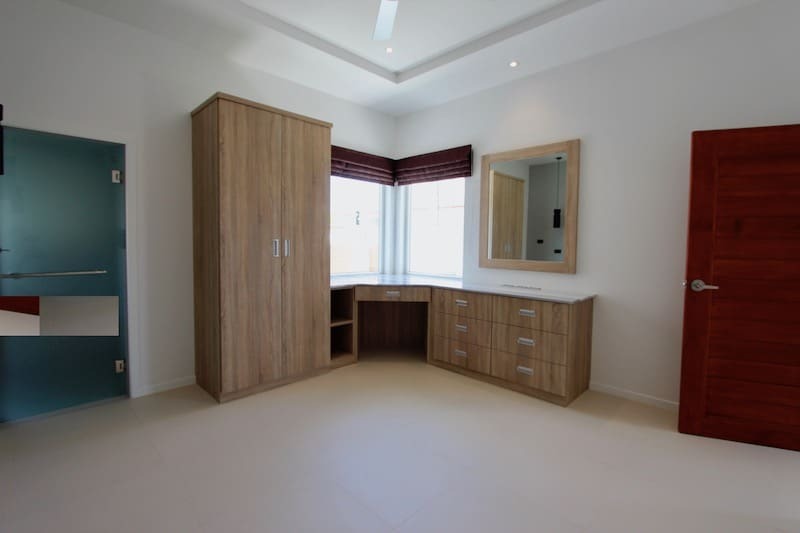 The home has 3 large bedrooms, all with a lot of light, lovely feature walls, and built-in wardrobes (the master bedroom has a spacious walk-in closet with vanity). 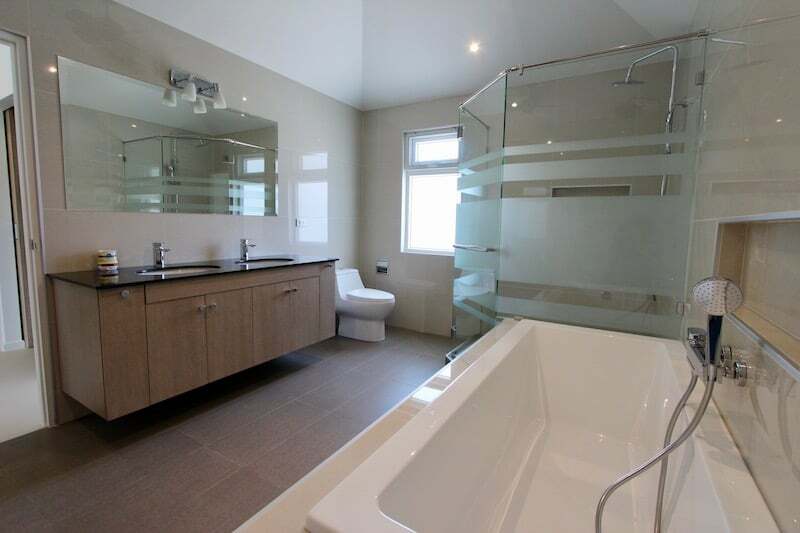 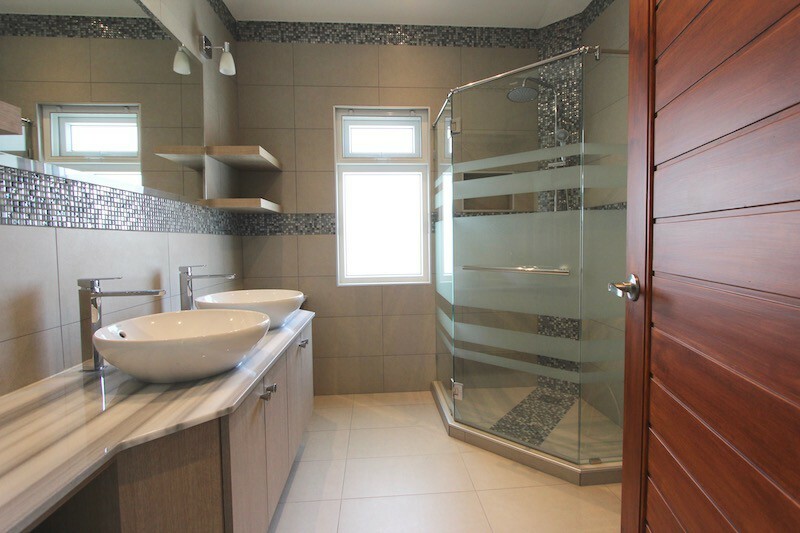 Two bedrooms have en-suite bathrooms while the third bedroom has access to the bathroom that also functions as the guest toilet. 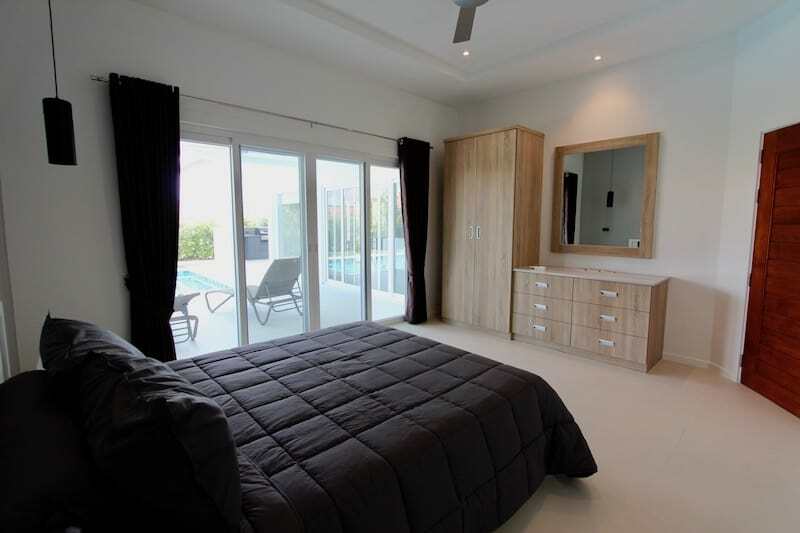 The master suite and one guest bedroom have direct access to the pool and terrace areas, and the master bedroom has a large bathroom with double sinks, a walk-in shower and a bathtub. 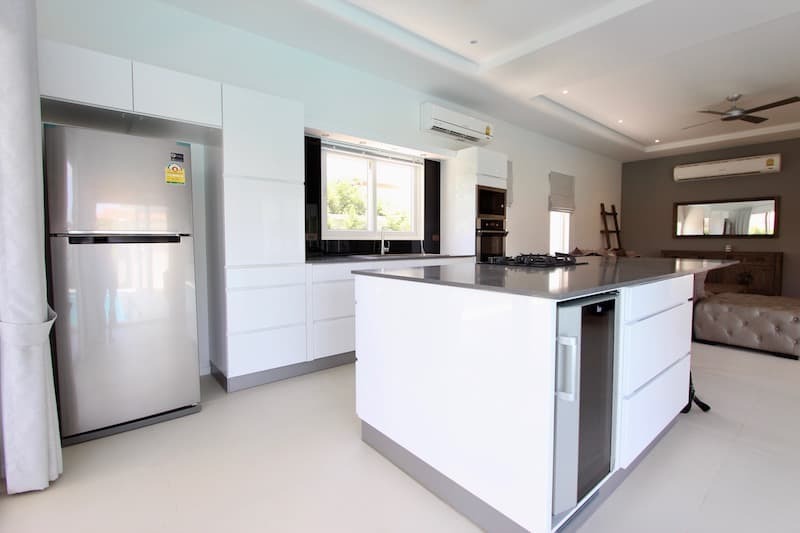 All of the finishing work and tiling is done at the highest level of quality, and the materials are both modern and stylish. 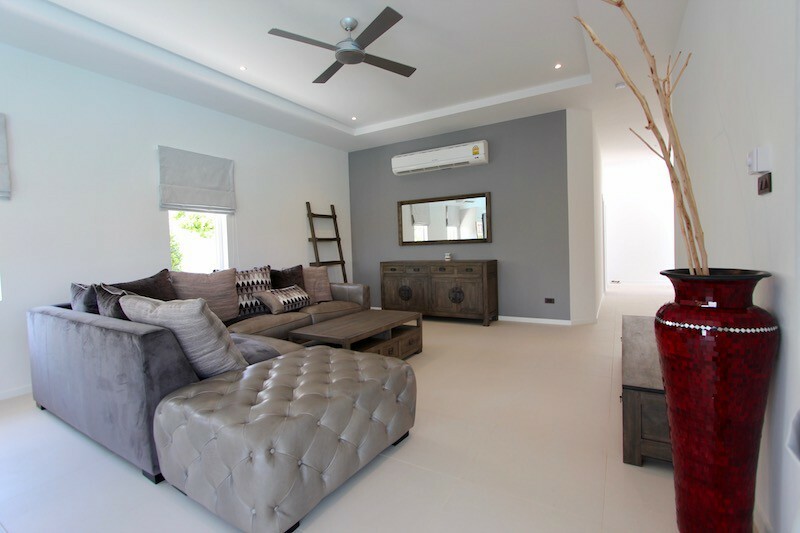 There are AC units in every room plus ceiling fans for added comfort. 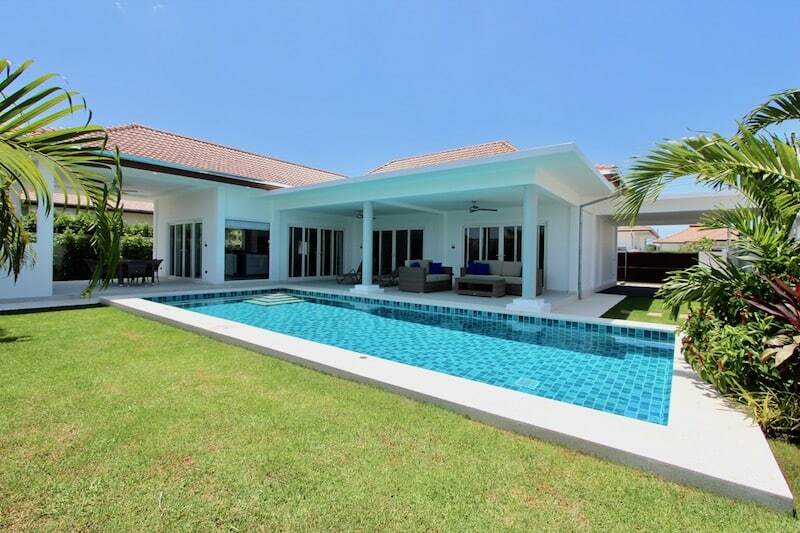 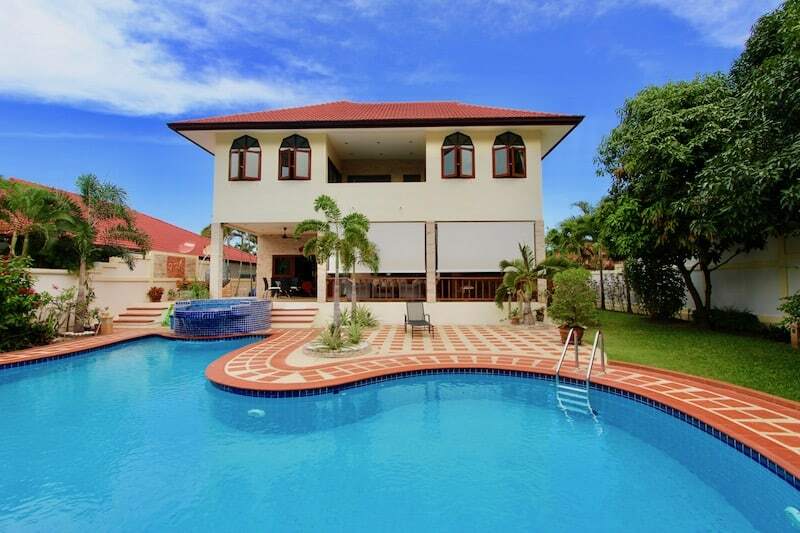 The home also features a covered carport, a spacious garden, and an outdoor toilet for the swimming pool. 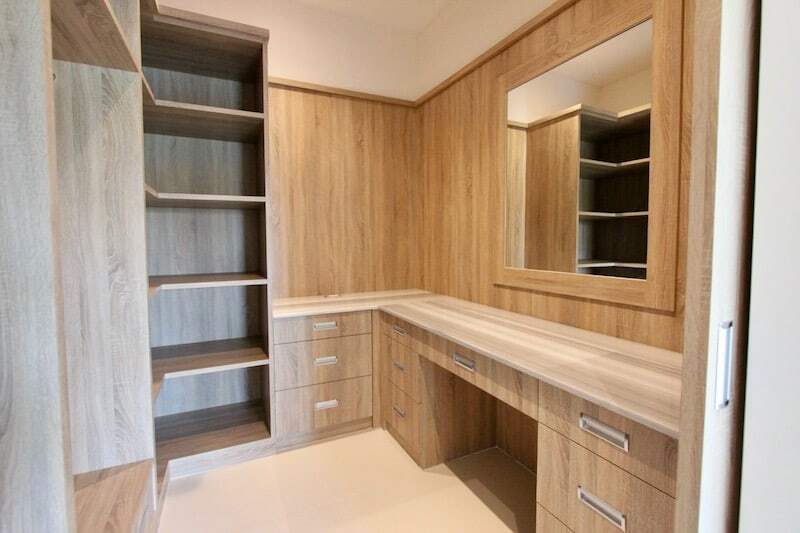 There is a utility room with washing machine, sink and central water heater, and this room has a door leading to the back garden for drying laundry. 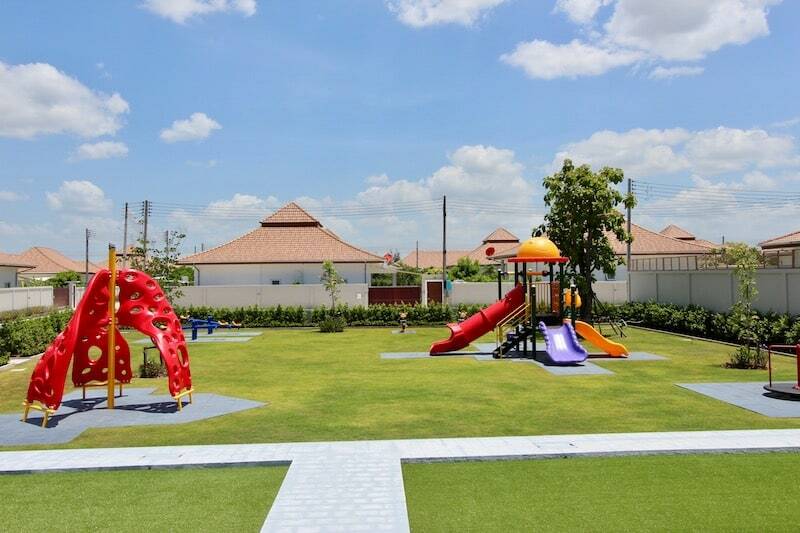 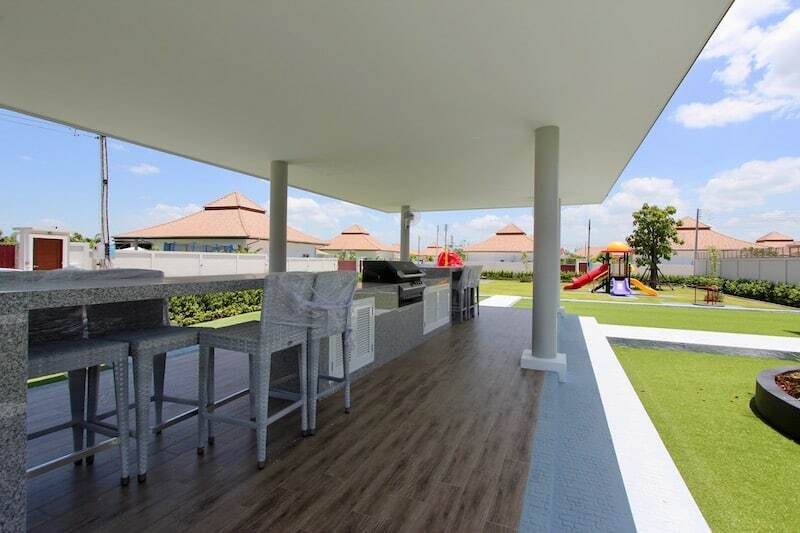 The development features a beautiful communal area with a kids’ playground, several covered seating areas, and a BBQ grill and prep space for parties. 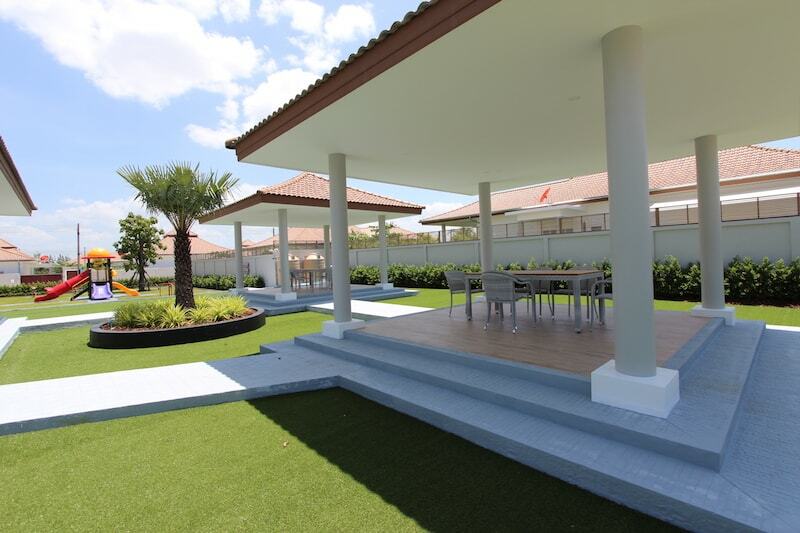 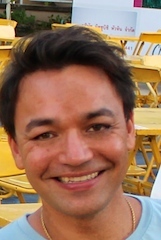 There is also 24 hour security and on-site management team.